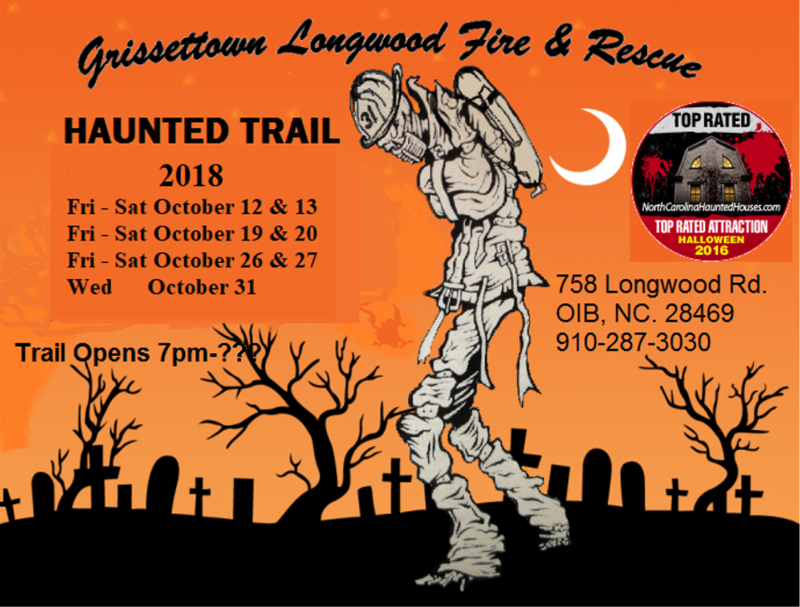 We have a haunted trail fund raiser every Friday and Saturday night in October and on Halloween. The trail is a self guided tour filled with interactive props and actors. Actors are firefighters and community volunteers. The trail takes about 30min to complete. Money raised goes to help fund the fire dept. This is not a little kiddy attraction, although it is family friendly. There are thousands of man hours involved in putting together this trail, it takes an entire year to prepare. 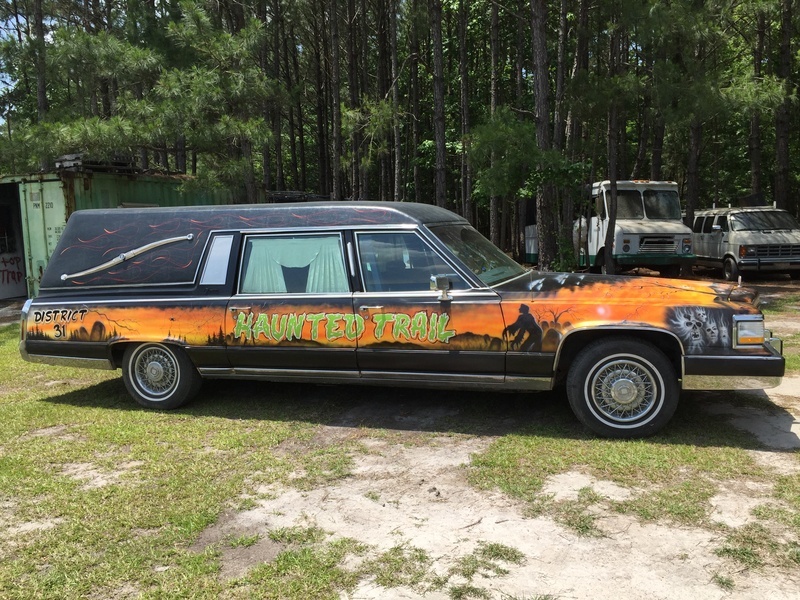 The trail yearly takes in about 3,000 customers from all over the state and has won 2 local awards for the scariest haunted attraction.